Black folks have been the most reliable voters for the Democrat Party the last 50 years. But the Party has delivered very little in return for that loyalty. That lack of delivery has led to voter apathy, and is the leading culprit in Hillary losing to the Chumph. We, as a people are now under existential threat from Trump and his white wing followers – but the Party and it’s policies are being driven by the interests of white women. Black voters just delivered two major victories for the Democrats in Virginia and Alabama. That vote wasn’t as much for Democrat candidates, as against the Chumph white supremacists. If elected Democrats don’t find a way to head off the Chumph…They are going to lose again in 2018 and 2020. I realize now that the love has been one-sided. You were the love of my life. I fell in love early and hard. I have been the kind of party loyalist ― the kind of sappy, soapbox-y, clichéd devotee ― that makes Fox News moonwalk with glee. The first vote I ever cast, at 18, was for Bill Clinton. The last vote I cast was for his wife, Hillary. My adoration for Hillary bordered on mania. In college, I named my ficus plant after her. Twenty years later, I canvassed, held fundraisers, dragged my 8-year-old daughter door to door, proudly wore HRC’s face on T-shirts and housed campaign volunteers in my home. I loved you so much that I cried each time I voted. Thinking about the women who died fighting for my right to vote did it every time. I cried when I voted for Bill. For Barack Obama. I wept when I voted for Hillary. You’ve been that kind of mad love to me. And now I want to break up. I realize now that the love has been one-sided, unrequited. You’ve never recognized me, as a brown woman. You’ve taken my love, my money, my tokenism, with nary anything in return. You married the white woman and hooked up with me on the side. 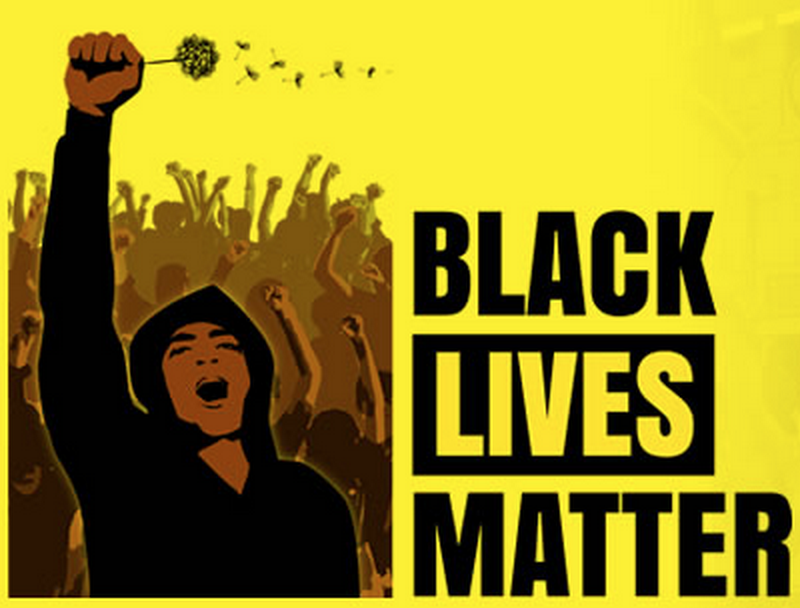 Black Lives Matter is a second ― or third ― thought. Where is your outrage over the national epidemic of police brutality against black people? You continue to call angry white men who commit mass murder “lone wolves.” But if someone who looks like me screams “Allah” and fires a gun, it’s “terrorism.” And you wonder why angry white men are gunning down innocent brown men at bars, in their yards, on the street. For all your talk about Dreamers, there’s been little action. You don’t seem to give a crap about kids of color who will be kicked out of this country, the only country they know. What if all those Dreamers were white? I suspect there’d be a very different outcome. You spend a lot of time and energy wooing white voters, while giving short shrift to voters of colors and assuming we’ll always show up for you. To be fair, there’s no reason for you to assume otherwise. We always show up for you. Take, for example, the special election in Alabama on Tuesday. Had black people not shown up, an accused child molester would be our newest senator. What will Doug Jones do for the black folks who put him in the Senate? If history is any indication, very little. This past year, I held and attended numerous fundraisers for your candidates. I donated money every time I was asked. I marched: for women, for children, for reproductive rights, for science. I traveled across the country for the March for Women in Washington, D.C. It was there that I got the first hint that you weren’t that into me. The giveaway? The sea of white women in pink hats with brown and black women dotting the waves like debris. I let it slide but I kept my eyes and ears open. My fellow brown and black sisters started to notice, too — and the chatter began, in whispered hushes at first, then loud and clear. You are a party of white feminists. Of white feminism, the kind of feminism that focuses on the struggles of white women. It was the first time I’d heard the term, most likely because self-awareness is hard and I was a brown woman trapped in a white feminist’s world. But then I woke up. I saw you with clear eyes for the first time. For every Kamala Harris and Pramila Jayapal sticking their brown and black necks out for me, there are dozens of white female Democrats who want me to shut my trap. Your advocacy for reproductive rights zeros in on wealthy white women. Women of color and other marginalized women get sidelined. The gender pay gap is worse for black and Latina women than it is for white women. Women of color make up 64 percent of women in U.S. jails. Why isn’t the Democratic Party talking about this and trying to fix it? My own “liberal” white congresswoman in Colorado has given me a hint as to why. At the congresswoman’s town hall in February, Neeti Pawar, the brown female founder of the South Asian Bar Association of Colorado, was one of the only people of color in a room of nearly a thousand. She asked about immigration and DACA protections. The congresswoman scoffed. When Pawar pressed on, she was told to remain silent or she’d be asked to leave. During a follow-up, staffers told Pawar that civil rights weren’t the representative’s “issue.” Brown and black people don’t have the luxury of sidelining civil rights. It’s life and death for us. I was organizing a fundraiser for a U.S. senator earlier this month, and had planned to use the opportunity to highlight women of color by having black women introduce him. The congresswoman’s staff caught wind of the event and asked if she could introduce the senator. I explained my position but invited her to come as a guest. No response. When pressed on her stance on racial inclusion, her staff didn’t respond to me directly but tattled on me to the white women co-hosting the event. I know there are some good ones among you. But for every Kamala Harris, Maxine Waters and Pramila Jayapal sticking their brown and black necks out for me, there are dozens of white female Democrats who want me to shut my trap, and say please and thank you. I should be grateful for scraps while white women enjoy a proper marriage with you. I’m done with all that. And if you don’t want to lose more women like me, there are a few basic things you can do. Pay attention to the reproductive health of women of color and other marginalized women. Do something, anything, to protect Dreamers. Or, if you’re really feeling bold, move forward on some form of reparations for black people. Finally, mentor young people of color to run for office. Campaign for brown and black folks. Raise money for them. Show up for them. I’d come running back to you with open arms if you did even a few of these things. In the meantime, I’ll be on the sidelines waiting, watching, hoping, praying. You broke my heart. “A Better Deal”… For Whom? Centrist Democrats keep cutting off the Progressive side of their Party, and then whimpering when they lose. As if becoming white-right lite is going to make them competitive in a race where they have lost their key majorities. The 8 member court seems to be working far better than the 5-4 conservative thugs in robes court. 5 of the 8 rendered this decision. Of course Uncle Tommie Clarence sided with defending his Massa’s racism. Racial comments made during jury deliberations may violate a defendant’s right to a fair trail and require review of a resulting guilty verdict, the Supreme Court ruled Monday. Justice Anthony M. Kennedy joined the court’s liberals in a 5-to-3 decision that said racially biased comments in the jury room may violate the constitutional guarantee of a fair trial and require examining the usual secrecy that surrounds jury deliberations. Protecting against bias in the jury room is necessary “to ensure that our legal system remains capable of coming ever closer to the promise of equal treatment under the law that is so central to a functioning democracy,” Kennedy wrote. He was joined by Justices Ruth Bader Ginsburg, Stephen G. Breyer, Sonia Sotomayor and Elena Kagan. Peña Rodriguez was challenging federal rules and those employed in Colorado and elsewhere that forbid challenging statements made during jury deliberations. He was convicted of groping two teenage girls in a bathroom at a Colorado track where he worked in 2007. He denied it and said it was a case of mistaken identity. The jury acquitted him of a felony charge and convicted him of misdemeanors. After the verdict, two jurors told defense attorneys that another juror, identified in court papers as H.C., had made the comments about Mexicans and said that as a former law enforcement officer, he had seen numerous similar cases. Peña Rodriguez’s lawyers wanted the judge to investigate the comments to decide whether they deprived their client of a fair trial. But the judge said he was barred from conducting such a review, and his decision was upheld by a 4-to-3 vote of the Colorado Supreme Court. Chief Justice John G. Roberts Jr. and Justices Clarence Thomas and Samuel A. Alito Jr. dissented. They said even comments such as those in the Peña Rodriguez case did not justify such a change. A friend and fellow shooter turned me on to some stats coming out of the National Rifle Association the other day. It seems that the majority of gun buyers in the last month since the Chumph’s “election” have been minorities. Inspired in no small part by the thousands of Hate Crimes being committed by racist Republicans and Trump supporters, who feel they have free reign to murder, maim, and terrorize black and minority populations in a redux of the Second KKK of the 1920’s. Spurred on by the fact that the Chump’s followers massively armed up, that the Chump’s cabinet selections of white supremacists suggests the Law enforcement will turn a blind eye to hate crimes, the open advocacy of white supremacy by Fox News media such as Bill O’Reilly, and the thousands of Hate aggressions and hate crimes since the election…Minorities need to arm themselves to protect themselve, significant others, and their children from hate crazed Trumpazoids. It seems that black folks aren’t left with much alternative other than to protect themselves in this country. The last time the KKK rose in 1918’s “Bloody Summer”, they got stopped cold by the fact black folks got their guns and fought back. The Washington, DC “Race riot” being an example. Black Tulsa didn’t go down easily, as armed WWI Veterans fought back actively. This happened again in Knoxville where the State Guard joined the white rioters. Black Guns Matter is one of several new organizations in startup mode to assist minority peoples to protect themselves (Their website as of this writing is not fully live, but is bookmarked). The NATIONAL AFRICAN AMERICAN GUN ASSOCIATION, founded in 2015 is an organization promoting training, and is making waves. I will continue my series on my recommendations of the best weapons to defend yourself during the Trumpocalypse and likely Civil War. My first post in that area had to do with what I feel are the best pistols for concealed carry (I’ve got a new one to add to that list I personally got to try out a couple of weeks ago the Canik TPS9, which won’t break the bank, and has some of the best safety features and accuracy I have seen in this class.) I will expand on that first article to Full Frame or Large Frame Pistols, Best Home Defense Weapons, Shotguns, Rifles, and my feelings on the best “Meet and greet” weapons allowing someone to reach out an touch over 1/2 mile away. When it looked all but certain that Hillary Clinton was going to win the presidency, nervous gun rights advocates reported stockpiling guns and ammunition they feared would no longer be available if the Democrat won the White House. The threat of Clinton presidency, along with several recent mass shootings, had led to 18 straight months of records in the FBI’s National Instant Criminal Background Check system for people seeking a permit to buy a firearm. Many were concerned the government would enact regulations restricting their access to guns. But since Republican Donald Trump, who was endorsed by the National Rifle Association and supports gun rights, won the White House in November, gun shops anticipated sales would taper off. Shares in major gun companies fell, anticipating a slowdown. Yet that doesn’t seem to be the case: On Black Friday this year, NICB processed a record 185,713 background checks — the most ever on a single day in the 20 years the system has existed. And some of those gun buyers are what the industry calls “non-traditional.” Namely, minorities, gay people and self-described liberals. “In the more conservative gun world, there is definitely a feeling that liberals hate guns,” Liberal Gun Club spokesperson Lara Smith told the BBC. She said there as been a spike in inquiries to her organization after Trump’s election and that paid membership has increased 10 percent. People have expressed concern that an increase in hate crimes since Trump’s election could escalate into something more violent, Smith said, and they want to be prepared. “Yes, there are liberals who dislike guns, but the vast majority of them have never been around guns and don’t know much about them other than what they are told,” Smith wrote on her organization’s website. Smith said she has been working with other non-traditional gun groups like Black Guns Matter and Pink Pistols. Pink Pistols promotes “legal, safe, and responsible use of firearms for self-defense of the sexual-minority community.” The group, which has 45 chapters nationwide, calls itself a shooting group that “honors diversity” and “teaches queers to shoot.” Although it has worked in conjunction with the NRA, the Pink Pistols considers itself non-partisan. Gun shop owner Michael Cargill told NBC News gun classes at his Austin, Texas store are selling out. He’s noticed an increase in LGBTQ, African-American, Hispanic and Muslim customers. Store owners told NBC they’ve seen up to four times as many minority customers than is typical. The National African American Gun Association, which has 14,000 members, has seen an increase in interest following the election. These are good guys to work with. After the Haiti earthquake worked with them on donating Police Radio Systems to replace those that had been destroyed. Been wondering when they would step up. Terrence M. Cunningham, president of the International Association of Chiefs of Police and chief of the Wellesley, Mass., police. On Monday he offered an apology for historic mistreatment of minorities by police. Terrence M. Cunningham, the chief of police in Wellesley, Mass., delivered his remarks at the convention in San Diego of the International Association of Chiefs of Police, whose membership includes 23,000 police officials in the United States. The statement was issued on behalf of the IACP, and comes as police executives continue to grapple with tense relationships between officers and minority groups in the wake of high-profile civilian deaths in New York, South Carolina, Minnesota and elsewhere, the sometimes violent citizen protests which have ensued as well as the ambush killings of officers in Dallas and Baton Rouge. Police chiefs have long recognized the need to maintain good relations with their communities, of all races, and not allow an us-versus-them mentality to take root, either in their rank-and-file officer corps or in the neighborhoods where their citizens live. Cunningham’s comments are an acknowledgement of police departments’ past role in exacerbating tensions and a way to move forward and improve community relations nationwide. Two top civil rights groups on Monday commended Cunningham for taking an important first step in acknowledging the problem. Back during the Bush Administration era, the folks who brought us the 7 year futile search of incidents of discrimination against white people also brought us privatization of government. Black folks, due to the sometimes burdensome Government regulations which assured the highest level of employment access and anti-discrimination work for the Government in very high numbers. It is one of the few places where color isn’t a bar to getting a job or rising in the ranks. Of course, Republicans could not let that continue. So they came up with the idea of privatizing government functions and jobs. Meaning, the hiring and promotion process would be left entirely up to private industry.This led to the whitening of the Federal workforce by several means. 1. The private companies weren’t subject to vigorous review of their hiring practices. A Republican Congress, Extreme Court, and Presidential Appointees fought to reduce or eliminate any penalty for racial or ethnic discrimination. 2. The “Gentrification” of jobs, making the educational and or post educational training requirements (Certifications) requirement substantially higher for the same job, making it more difficult for minorities to apply. This resulted in a number of low level jobs suddenly requiring college degrees, and specific industry certifications which were out of reach of many minorities financially. 3. Allowing contracting companies to easily deny that they couldn’t meet requirements by announcing there was a shortage of “qualified” minority companies or candidates. This insidious racism also infected the Intelligence Agencies. 8 years later, the Obama Administration finally “gets it”. Before we realized Bill Cosby’s halo was broken, he played a U.S. intelligence officer on NBC’s “I Spy.” There weren’t many black folks on television in the 1960s, and there is too little diversity among the spies and others in national security agencies now. That’s why President Obama directed agencies “to strengthen the talent and diversity” of their organizations. “Our greatest asset in protecting the homeland and advancing our interests abroad is the talent and diversity of our national security workforce,” said apresidential memorandum issued Wednesday. Wade Henderson, president and chief executive of the Leadership Conference on Civil and Human Rights, praised the data collection as “a necessary first step in recognizing the scope of the problem” to design appropriate solutions. In June, the Justice Department mandated implicit bias training for its law enforcement officers and prosecutors. In May, acting Office of Personnel Management Director Beth Cobert told federal officials that unconscious bias is a major barrier to diversity and inclusion. Obama also wants agencies to interview a representative cross-section of staffers, including “exit interviews or surveys of all departing personnel to understand better their reasons for leaving.” That information will analyzed by demographics. Increasing federal workplace diversity has long been a priority for Obama, as demonstrated by his 2011 executive order promoting diversity and inclusion. This current effort was driven by National Security Adviser Susan E. Rice. During the last several months, she assembled national security officials in the White House situation room to discuss ways to promote diversity. Her May Florida International University commencement address largely focused on the need to improve national security diversity. Quoting former Florida senator Bob Graham (D), she told the graduates the workforce is too often “white, male and Yale.” Noting that people of color are almost 40 percent of the nation’s population, Rice said they are less than 20 percent of senior diplomats and less than 15 percent of senior intelligence officials and senior military officers. Vernon Jordan, a veteran civil rights activist and Washington insider, examined the CIA’s poor diversity record in a blunt 2015 report commissioned by the agency. The CIA went backward in at least one key diversity point during the 2004-2014 period, Jordan wrote in the forward to the 54-page report – the number and percentage of African American senior intelligence officers declined. While racial and ethnic minorities were 23.9 percent of the CIA’s workforce, they were just 10.8 percent of the Senior Intelligence Service. “The Director must also act promptly and aggressively to identify and promote senior minority intelligence ofﬁcers to positions that will send an unmistakable message of change,” said the study Jordan led. Pointed words. But it’s action that counts. Discrimination is the new normal. In “The five things no one will tell you about why colleges don’t hire more faculty of color,” a piece first published in the Hechinger Report, Marybeth Gasman took on a common question: Why aren’t college faculties more racially diverse? It’s a question gaining increased urgency from student protesters demanding change on campuses nationally. While giving a talk about Minority Serving Institutions at a recent higher education forum, I was asked a question pertaining to the lack of faculty of color at many majority institutions, especially more elite institutions. My response was frank: “The reason we don’t have more faculty of color among college faculty is that we don’t want them. We simply don’t want them.” Those in the audience were surprised by my candor and gave me a round of applause for the honesty. Given the short amount of time I had on the stage, I couldn’t explain the evidence behind my statement. I will do so here. I have been a faculty member since 2000, working at several research universities. In addition, I give talks, conduct research and workshops and do consulting related to diversifying the faculty across the nation. I have learned a lot about faculty recruitment over 16 years and as a result of visiting many colleges and universities. First, the word ‘quality’ is used to dismiss people of color who are otherwise competitive for faculty positions. Even those people on search committees that appear to be dedicated to access and equity will point to ‘quality’ or lack of ‘quality’ as a reason for not hiring a person of color. Typically, ‘quality’ means that the person didn’t go to an elite institution for their Ph.D. or wasn’t mentored by a prominent person in the field. What people forget is that attending the elite institutions and being mentored by prominent people is linked to social capital and systemic racism ensures that people of color have less of it. It is accurate that there are fewer people of color in some disciplines such as engineering or physics. However, there are great numbers of Ph.D.’s of color in the humanities and education and we still don’t have great diversity on these faculties. Since faculty members are resistant to hiring their own graduates, why not team up with several other institutions that are ‘deemed to be of high quality’ and bring in more Ph.D.s of color from those institutions? If you are in a field with few people of color in the pipeline, why are you working so hard to ‘weed’ them out of undergraduate and Ph.D. programs? Why not encourage, mentor, and support more people of color in your field? Third, I have learned that faculty will bend rules, knock down walls, and build bridges to hire those they really want (often white colleagues) but when it comes to hiring faculty of color, they have to ‘play by the rules’ and get angry when any exceptions are made. Let me tell you a secret – exceptions are made for white people constantly in the academy; exceptions are the rule in academe. Fourth, faculty search committees are part of the problem. They are not trained in recruitment, are rarely diverse in makeup, and are often more interested in hiring people just like them rather than expanding the diversity of their department. They reach out to those they know for recommendations and rely on ads in national publications. And, even when they do receive a diverse group of applicants, often those applicants ‘aren’t the right fit’ for the institution. What is the ‘right fit’? Someone just like you? Fifth, if majority colleges and universities are truly serious about increasing faculty diversity, why don’t they visit Minority Serving Institutions — institutions with great student and faculty diversity — and ask them how they recruit a diverse faculty. This isn’t hard. The answers are right in front of us. We need the will. For those reading this essay, you might be wondering why faculty diversity is important. Your wondering is yet another reason why we don’t have a more diverse faculty. Having a diverse faculty — in terms of race, ethnicity, gender, sexuality, religion — adds greatly to the experiences of students in the classroom. It challenges them — given that they are likely not to have had diversity in their K-12 classroom teachers — to think differently about who produces knowledge. It also challenges them to move away from a ‘white-centered’ approach to one that is inclusive of many different voices and perspectives. Having a diverse faculty strengthens the faculty and the institution as there is more richness in the curriculum and in conversations taking place on committees and in faculty meetings. A diverse faculty also holds the university accountable in ways that uplift people of color and center issues that are important to the large and growing communities of color across the nation. Although I have always thought it vital that our faculty be representative of the nation’s diversity, we are getting to a point in higher education where increasing faculty diversity is an absolute necessity and crucial to the future of our nation. In 2014, for the first time, the nation’s K-12 student population was majority minority. These students are on their way into colleges and universities and we are not prepared for them. Our current faculty lacks expertise in working with students of color and our resistance to diversifying the faculty means that we are not going to be ready anytime soon. I’ll close by asking you to think deeply about your role in recruiting and hiring faculty. How often do you use the word ‘quality’ when talking about increased diversity? Why do you use it? How often do you point to the lack of people of color in the faculty pipeline while doing nothing about the problem? How many books, articles, or training sessions have you attended on how to recruit faculty of color? How many times have you reached out to departments with great diversity in your field and asked them how they attract and retain a diverse faculty? How often do you resist when someone asks you to bend the rules for faculty of color hires but think it’s absolutely necessary when considering a white candidate (you know, so you don’t lose such a wonderful candidate)? Rather than getting angry at me for pointing out a problem that most of us are aware of, why don’t you change your ways and do something to diversify your department or institution’s faculty? I bet you don’t, but I sure hope you do.